Getting to know our product, the mission behind it, and how we hope to grow in the coming years. What is Shopsys Framework (SSFW)? Our product is a fully functional ecommerce platform for businesses transitioning into tech-companies that are seeking to organize their own software development team. It contains the most common B2C and B2B features for online stores and its infrastructure is prepared for high scalability. Shopsys Framework is the fruit of our 15 years of experience in creating custom-made online stores and it’s dedicated to best in-house devs teams who work with online stores with tens of millions of Euros of turnover per year. SSFW architecture is modern and corresponds to the latest trends in the production of software for leading ecommerce solutions. Deployment and scaling of our system are comfortable thanks to the use of the containerization and orchestration concepts (Docker, Kubernetes). The platform is based on one of the best PHP frameworks on the market – Symfony. Our product aims to save thousands of dev-hours and help website owners overcome obstacles like technical debt , vendor lock , and building an eshop from scratch. A typical project using our platform is a B2B or B2C site with a yearly revenue ranging from €2M to €100M with thousands of orders and hundreds of thousands of page views each day. Online retailers operating with this revenue have to provide a high-quality customer journey, from the first page load to the final delivery at a customer’s doorstep, and we understand this better than anyone. 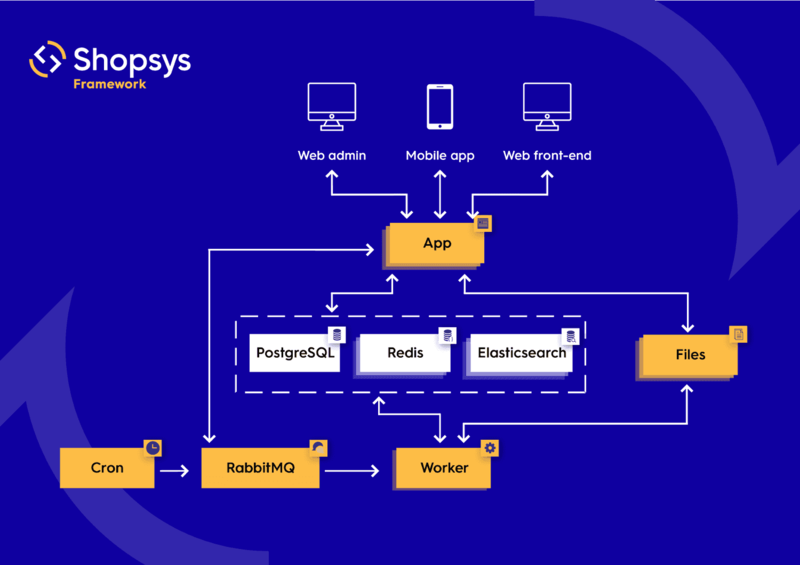 The diagram below will introduce you to the infrastructure behind the Shopsys Framework. You can learn more about our development roadmap on our blog. We’ve come a long way, but at the moment we have one main goal – the release of a stable version by next year. 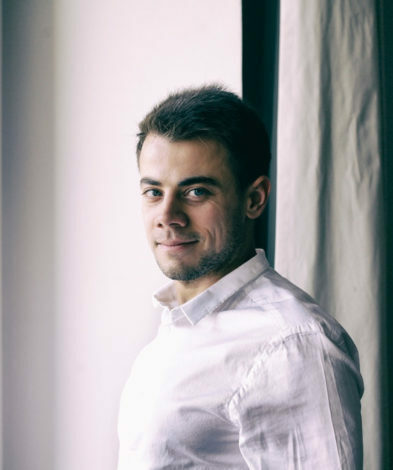 We want to offer the most efficient open source framework for medium and large sized fast-growing ecommerce companies all around the world. With more than 15 years of experience, we work to effectively incorporate a company’s style, wisdom, and business strategy in order to create an adaptable tool for developers.